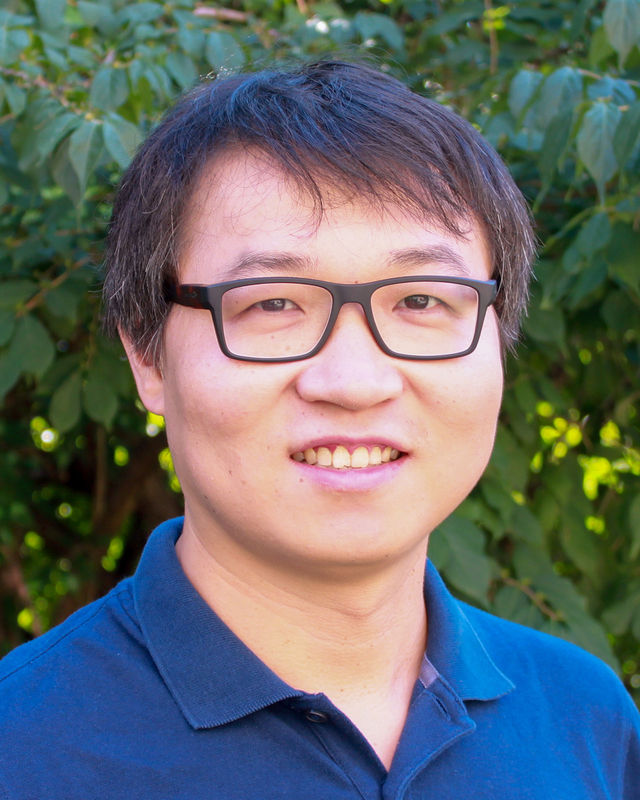 Jinliang Yang’s lab focuses on bridging the gap between genotypes and phenotypes. At a broader scale, his group is keen to integrate various large-scale biological data such as phenomics, genomics, transcriptomics, methylomics datasets and functional annotations to boost the power of Genome-Wide Association Study (GWAS) and Genomic Selection (GS). Using quantitative and population genetics approaches to understand the genetic architecture of agronomically important traits, and how deleterious alleles shape the patterns of plant adaptation. Exploring the genetic basis of heterosis and predicting hybrid performance by incorporating biological annotation information. Collecting and modeling complex phenotypes, such as molecular phenotypes, time series phenotypes, or phenotypes obtained via image analysis, and understanding the molecular mechanism controlling for plant development. Hao, Jingjie, Jinliang Yang, Jiangli Dong, and Shui-zhang Fei. "Characterization of BdCBF genes and Genome-wide Transcriptome Profiling of BdCBF3-dependent and-independent Cold Stress Responses in Brachypodium Distachyon." Plant Science (2017). Yang, Jinliang, Haiying Jiang, Cheng‐Ting Yeh, Jianming Yu, Jeffrey A. Jeddeloh, Dan Nettleton, and Patrick S. Schnable. "Extreme‐phenotype genome‐wide association study (XP‐GWAS): a method for identifying trait‐associated variants by sequencing pools of individuals selected from a diversity panel." The Plant Journal 84, no. 3 (2015): 587-596. Sosso, Davide, Dangping Luo, Qin-Bao Li, Joelle Sasse, Jinliang Yang, Ghislaine Gendrot, Masaharu Suzuki et al. "Seed filling in domesticated maize and rice depends on SWEET-mediated hexose transport." Nature genetics 47, no. 12 (2015): 1489. Leiboff, Samuel, Xianran Li, Heng-Cheng Hu, Natalie Todt, Jinliang Yang, Xiao Li, Xiaoqing Yu et al. "Genetic control of morphometric diversity in the maize shoot apical meristem." Nature communications 6 (2015): 8974. Liu, Sanzhen, Kai Ying, Cheng‐Ting Yeh, Jinliang Yang, Ruth Swanson‐Wagner, Wei Wu, Todd Richmond et al. "Changes in genome content generated via segregation of non‐allelic homologs." The Plant Journal 72, no. 3 (2012): 390-399. Koesterke, Lars, Dan Stanzione, Matt Vaughn, Stephen M. Welch, Waclaw Kusnierczyk, Jinliang Yang, Cheng-Ting Yeh, Dan Nettleton, and Patrick S. Schnable. "An efficient and scalable implementation of SNP-pair interaction testing for genetic association studies." In Parallel and Distributed Processing Workshops and Phd Forum (IPDPSW), 2011 IEEE International Symposium on, pp. 523-530. IEEE, 2011.